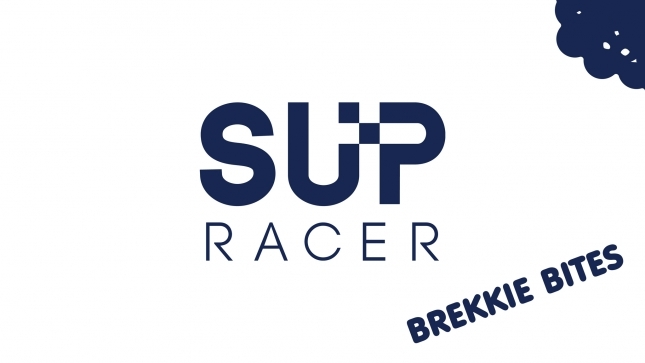 SUP Racer’s mission has always been to keep a finger on the pulse and share the news fast, so instead of waiting til I’ve written the perfect post, now I’m simply going to post a daily briefing around breakfast time (“brekkie” in Aussie slang). I’ll still post extended race recaps and the occasional opinion piece (you know I love a good ramble), but this will definitely be the most up-to-date section of SUP Racer. Brekkie Bites will be served at 7:07am* GMT every day (every. single. day.) on supracer.com and via Instagram Stories (you following @supracer?). Each update will focus on what happened the previous 24 hours, though the first few editions will play catch up on the past week. 7:07am GMT is early morning in Europe, *very* early morning in America and, to contradict the title of this column, evening in Australia. The biggest race you’ve never heard of took place in the Czech Republic last weekend, with over 1300 competitors on canoes, kayaks, SUPs and rafts (even a dragon boat was spotted) taking part in the 16th annual Krumlovský Vodácký Maraton. The Krumlovsky is a 25km downriver race punctuated by half a dozen ramps (“weirs”) that add a unique challenge and give you the incredible feeling of paddling downhill. It’s also a “Regional” stop and the first official event of The Paddle League post-season. While there were “only” 170 paddlers standing up (very impressive for an emerging SUP nation), there were 710 craft and 1300-1400 total paddlers charging down the Vltava river last Saturday. It makes the Paris Crossing look like a training session. This year’s SUP division was taken out by Czech canoe prodigy Martin Piškot Novák and Germany’s Hannah Leni Krah (full results), while another highlight was the Friday night sprints in front of a big crowd. Craving an ultra-endurance marathon through the Dutch countryside? The iconic SUP 11 City Tour has already opened entries for 2019. The five-day, five-stage, 200km epic will be happening September 11th-15th next year. The “Non-Stop Tour” (which is exactly what it sounds like) takes place on the 7th/8th. I’ve described this race as the “Tour de France of SUP” and “school camp for adults” — it’s an almighty challenge and one that gets many participants hooked. Clearly, because entries are already filling up despite race day being 11 months away. Next year will mark the 11th annual edition of the 11 Cities (we need a hashtag… #11SUP11? ), and you can register now on the official site. In case you’ve been living under a rock, the biggest news from California last week was Lincoln Dews’ fairytale finish to The Paddle League World Tour, where he clinched the World Title from compatriot Michael Booth at the Pacific Paddle Games. After a dominant display in the distance race followed by a nerve-wracking surf race final, Lincoln narrowly clinched both the event and world titles, finishing Season 2018 on 410.00 points vs Boothy’s 400.00 (see the season-ending World Rankings). German powerhouse Sonni Hönscheid wrapped up the women’s title months ago thanks largely to her six-race unbeaten streak earlier in the season that included wins in Tahiti, Carolina, Hawaii, Japan and Europe. We’ll have a full debrief of The Paddle League season next week. SUP 11 City Tour ✕ Plastic Tides – Longest SUP Cleanup Ever? The Sup11 – City Tour should be on everyone’s list. It’s the perfect combination of intense personal challenge, inclusive community, and adventure paddling. And now it’s leading the charge with sustainable SUP events. Race coordinators have always been aware of sustainability and the issues we face, but now are stepping it up. The event invited environmental nonprofit, Plastic Tides, to the Netherlands to clean up the race course, while they paddled it! 5 days, 220km, might this be the longest SUP cleanup ever? Starboard SUP was quick to support this mission and the reward was visible and clear. The Plastic Tides team, along with other paddlers who joined in on the fun, cleaned up an average of 10 bags of trash EVERY DAY. Paddling 220km over 5 days, the team showed what was possible for the future of SUP cleanups and continues to push the boundaries. Check back at 7:07am tomorrow for more Brekkie Bites. * Riddle me this: why 7:07am?